Trujillo, a peaceful backwater in Caceres. It was the 16th century. The boys are bored and the colourfully dressed nobleman comes to the village square and says how about some real adventure? ​Of course, for the young, adventure is what they seek. So, Pizzarro and his buddies started running to the sea knowing the ship would be waiting for them and off they went to the greatest adventure Europe had to offer at that time: The New World. For the village of Trujillo, the most important thing was that the boys came back with silver and gold and outrageous stories and the town never recovered. The waiting girlfriends were ticked off when the boys revealed a line of Inca princesses that made the local cheerleaders look a little shabby. So, the quiet little town morphed into a beautiful jewel box of a city with Pizarro still grinning at the life he found. The Incas, of course, wished the boys had stayed at home. The greatest of these Trujillo boys were Francisco Pizzaro who conquered Peru, Francisco de Orellana, founder of Guayaquil, Ecuador and the first European to explore the Amazon, Francisco de las Casas who accompanied Hernan Cortes in his conquest of Mexico, and founded the city of Trujillo in Honduras, Diego Garcia de Paredes, a distinguished warrior and his son of the same name who founded Trujillo and other cities in Venezuela, Nuno de Chaves who founded Santa Cruz de la Sira in Bolivia and so many others whose names are all over South America. Who are these Trujillo Boys? Francisco Pizzaro. Born in Trujillo an illegitimate son of an infantry colonel Gonzalo Pizzaro with a poor woman, Francisca Gonzalez, he grew up with no literacy so he saw the expeditions as his only hope for a future. In 1509, Pizzaro joined an expedition to the New World and was awarded the positions of Mayor and Magistrate in Panama. But Pizzaro knew of the riches of the Incas and led a successful expedition killing the Inca King, Atahualpa. He also founded Lima which he claimed to be his top achievement. Sadly, he died there but today, Trujillo honours him with a huge statue in the Plaza Mayor as their most famous son. 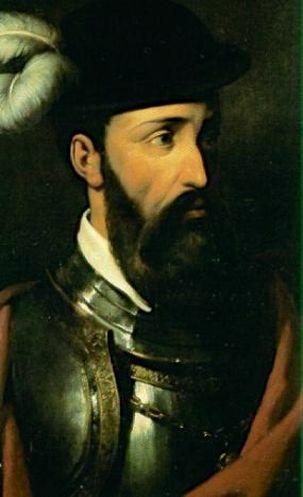 Francisco de Orellana, another son of Trujillo was the first European to complete the navigation of the Amazon River which was the named Rio de Orellana. He also founded Guayaquil which is now part of Ecuador. Francisco de las Casas, another native of Trujillo and a cousin of Hernan Cortes, was the one who carried the news of Cortes appointment as Governor of New Spain. For this, he was awarded the Yanhuitlan as his encomienda. Here, his wife, Maria de Aguilar, also a cousin of Cortes started the famous silk industry from the mulberry seeds given by Cortes himself. He also founded Trujillo in Honduras. ​Diego Garcia de Paredes is noted for his personal strength and has distinguished himself in several wars and conquests. A son of the same name founded Trujillo in Venezuela. Nuno de Chaves was the founder of Santa Cruz de la Sierra in Bolivia. What was Trujillo Like before the Conquistadors? The original town of Trujillo was built on a granite ledge on the hillside which offers amazing views of the plains. Celts, Visigoths, Romans, Moors, Jews and Christians have come and left their marks on the city. Established by the Romans around 206 BC, Trujillo is one of the oldest cities in Spain. The Visigoths in 414 ACE who were at this time already Christians took over from the Romans. The Almohads Muslims took over in 714. In 1256 Trujillo was granted sovereignty under the Christian crown. The Jews, also residents in this place together with the Muslims, were given a choice: to convert or leave. Meanwhile, the Visigothic lords established a tenuous hold over the peninsula. Trujillo was rewarded for its loyal support of Christian forces. The most notable award being its designation as a center of regional commerce in 1465. This aided Trujillo in building up its traditionally agrarian commerce into a more substantial trade economy. What is Trujillo Like Today? Today, the city is built around the Plaza Mayor with a Moorish Castle and palaces, manor houses, towers, all monuments to the adventurous spirit of Trujillos' young men. There is the bronze monument to Pizzaro atop his horse in the main square by American artists Mary Harriman and Charles Runse. From the main square, you can go up steep narrow streets and explore the corners where these great conquistadors first dreamt of the New World. Have you been to Trujillo? What did you enjoy most of your visit? Have you enjoyed your virtual visit to Trujillo? Please share in your favourite social media and don't forget to leave your comments below.